E-MAIL a FRIEND. Check out this web site! Don’t be fooled by pricey cabinet suppliers who claim Ready to Assemble RTA cabinets are not well made or have very limited cabinet and feature choices. Over the last 12 years, the quality of some RTA cabinets has gone up so dramatically, that many U.S. cabinet manufacturers are still playing catch up. 1) Do your cabinets contain any particleboard? (Particleboard swells, buckles, and splits if it gets wet; plywood cabinet boxes are more durable. Our cabinets contain NO particleboard whatsoever). 2) Are the cabinet boxes - sides and backs - made of sturdy plywood, or do you have to pay extra for that? (Grade-A plywood is standard on every one of our cabinet lines). 3) Are your cabinet shelves made of plywood covered with a matching wooden veneer? (Some companies sell cabinets with flimsy particleboard shelves. ALL of our cabinet iines have solid PLYWOOD shelves covered with a matching wooden veneer). 4) If your cabinets have plywood sides, are the sides of all cabinets finished on the outside, or is the plywood exposed on some cabinets? (This can be important to some people with allergies or a sensitivity to the chemicals used in wood cabinets. 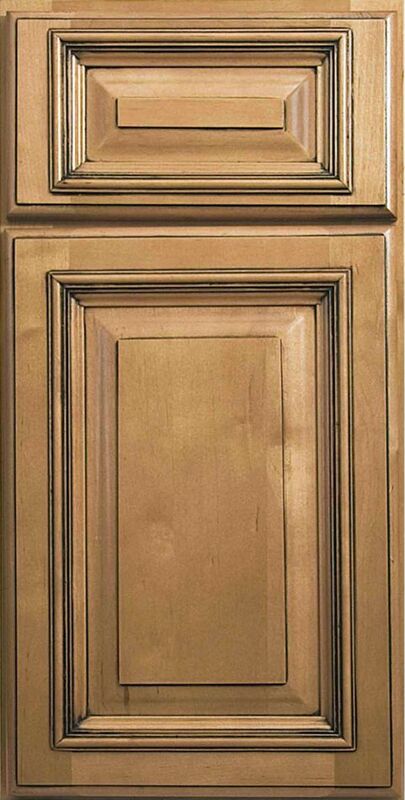 ALL of our cabinets have finished sides with wooden veneers covering the plywood on the sides of every cabinet, not just those at the end of a run. No need to buy extra skins from us). 5) Are the backs of your cabinet bases and your cabinet drawer sides and bottoms just 1/8" or 1/4" thick? (All of our base cabinets have close to full 1/2" thick backs, and our drawers have nearly 1/2" thick sides and bottoms. When cabinet dealers don't list detailed specs like this, it is usually because they don't want you to see just how many differences there really are in the construction of a product, even if their doors look similar on the outside of a cabinet). 6) Are your cabinets finished on the inside? (Some manufacturers cover exposed plywood, MDF, or particleboard interiors with a stain and a coat of varnish. All of our cabinets have finished wooden veneers on the inside and on the outside of our plywood boxes that match their cabinet fronts). 7) Do your Ready-to-Assemble cabinets have to be drilled, nailed, glued, clamped, and stapled, or can they easily be assembled with PRE-MOUNTED "L" brackets and locking plates? (Lots of RTA cabinets require drills, brad nailers, glue guns, staple guns, and clamps. NOT OURS. Since cabinets that are just glued or stapled together have a tendency to separate where the staples meet the frame, this can be a major drawback. Other sellers provide the L-bracket and locking plate connectors, but buyers have to measure every piece of wood to determine their placement, drill holes for them, and mount them. 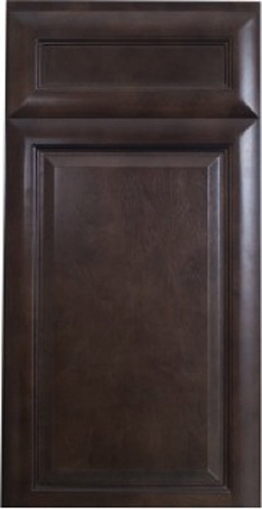 Kitchen Cabinet Discounts' metal locking plates and L-brackets are PRE-MOUNTED on our wood. You just slide each locking plate over its corresponding L-bracket, add the center screw to the pre-drilled hole, and tighten the other two screws that are already in place. Or, you can buy our cabinets from us already assembled). 8) If a company says it uses CAMLOCK connectors, ask, "Are the camlocks made of cheesy plastic or are they metal?" (Plastic is not nearly as durable as a study metal). Our BAMBOO line uses METAL camlock connectors. All of our other cabinets use PRE-MOUNTED METAL "L" brackets and locking plates. 9) Are your cabinet drawer glides FULL EXTENSION, or just 3/4 extension? (You get 25% more drawer space with full extension drawer glides, which are standard on ALL of our deluxe and semi-custom cabinets). 10) Are your cabinet drawer glides basic epoxy glides, or are they heavy duty glides? (You can expect basic white epoxy glides on builder grade cabinets, but if you pay more for your cabinets, make sure the drawer glides are heavy duty ones that are stronger and more durable. 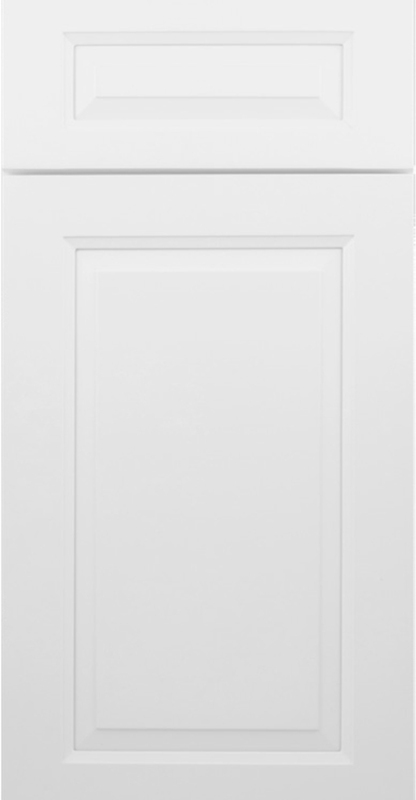 All of our deluxe and semi-custom cabinets have heavy duty undermount glides). 11) Do your cabinets have SOFT-CLOSE drawers? (All of the drawers on our deluxe and semi-custom cabinets are FULL EXTENSION SOFT CLOSE. This feature alone is worth 30% more). 12) Are your cabinet doors and door frames 3/4" thick? 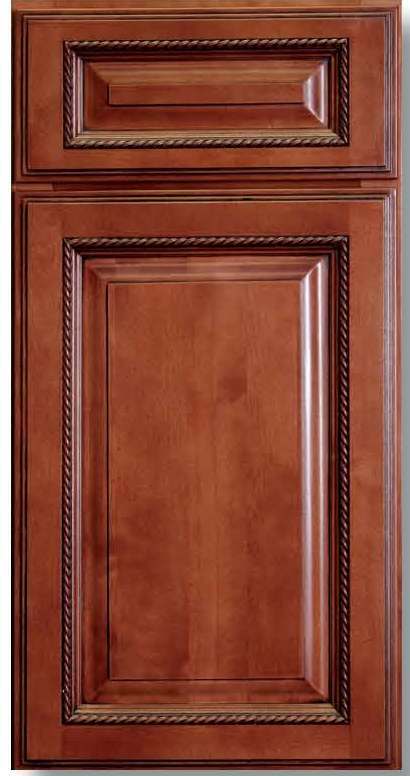 (All of our cabinet doors and drawer frames are close to 3/4" thick). 13) Are your cabinets GLAZED? 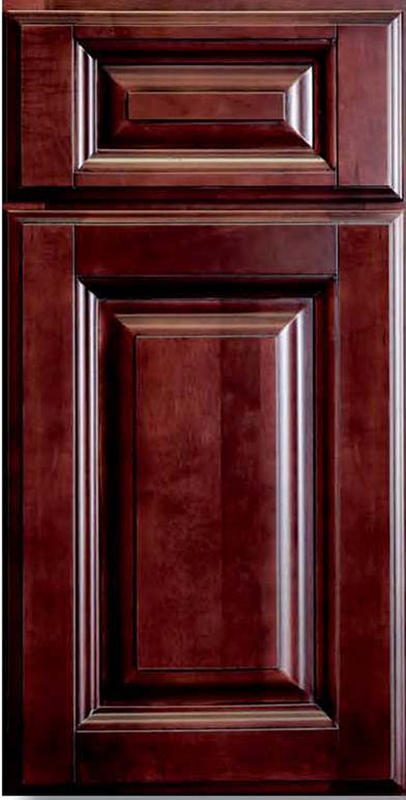 (A glaze on a cabinet does NOT refer to a polyurethane finish. GLAZED cabinets are those with a second staining color that provides two-tone definition and pizazz, before the finish is added. Many retailers charge an extra 15-20% extra just for this feature. 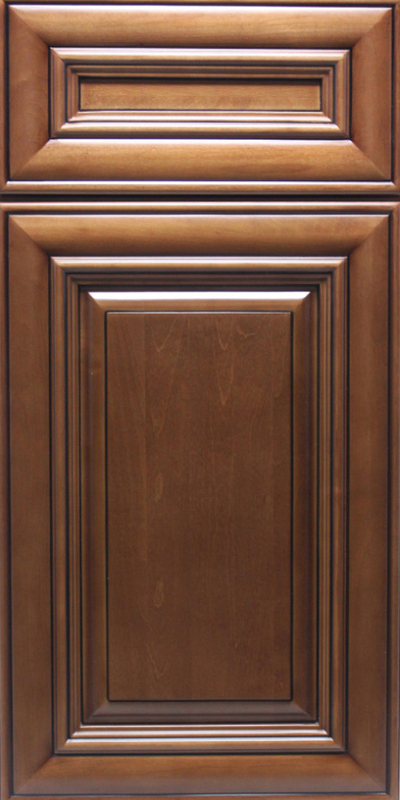 It is standard on all of our deluxe and semi-custom cabinets with the exception of our Bamboo and Shaker cabinets. 14) Are your cabinets approved by the KCMA -- the Kitchen Cabinet Manufacturers' Association? Seventeen of our cabinet lines received KCMA approval when cabinets assembled by our warehouse were tested, which means they meet the KCMA's standard for durability and quality. Cabinets that comply and bear the KCMA certification are recognized in the marketplace as a quality product able to perform after a rigorous battery of tests simulating years of typical household use. Tests are performed by approved third-party independent laboratories. Since KCMA approved labs will not test UNassembled cabinetry, our U.S. based warehouses assemble our RTA cabinets before delivering them to the KCMA's designated test labs. 15) Do your cabinets comply with the current California Air Resources Board's (CARB) emissions standard? ALL of Kitchen Cabinet Discounts' cabinet lines do. Formaldehyde and aldehyde are natural ingredients found in organic products such as paints, dyes, and glues. The Calfornia Air Resources Board took the lead nationwide to establish rules to reduce and standardize the use of formaldehyde and aldehyde in hardwood, plywood, particleboard, and medium density fiberboard used or sold in the state of California to levels that do not pose a risk to humans. Several other states and the Environmental Protection Agency are considering passing similar legislation. Although Kitchen Cabinet Discounts sells cabinets to all 50 states, not just California, our cabinet lines are already CARB Phase 2 certified, and meet or exceed safe emissions levels as regulated by the current CARB threshhold limits test. Kitchen Cabinet Discounts sells Ready-to-Assemble (RTA) kitchen cabinets and RTA vanities up to 75% off the retail price to builders, contractors, apartment managers, and homeowners. Cabinets assemble with just a screwdriver and rubber mallet, OR, for just $15 - $18 more per cabinet, we can assemble them for you. 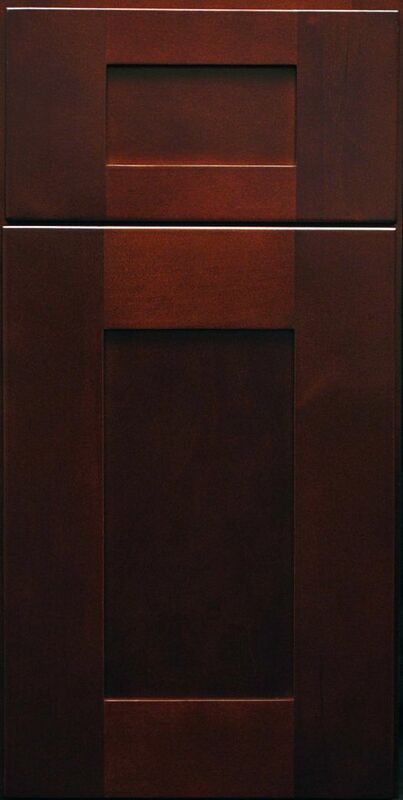 Our discount kitchen cabinets are in-stock, and usually ship within 2 days of address verification and payment clearing to all 50 states and the U.S. Virgin Islands. 1) EASY TO ASSEMBLE - Hinges and sturdy METAL camlocks and non-tarnish METAL locking plates and L-brackets are PRE-MOUNTED on cabinet doors and panels. 5) HEAVY DUTY FULL-EXTENSION SOFT CLOSE GLIDES standard on all DELUXE, SEMI-CUSTOM, and SHAKER cabinets. 7) KCMA CERTIFIED - Our cabinet lines are subjected to rigorous tests simulating years of typical household that by the Kitchen Cabinet Manufacturers Association, THE organization that sets the industry standard for cabinet durability and quality in the U.S. All lines are already KCMA certified. 4) CARB CERTIFIED - ALL of our cabinet lines meet California Air Resources Board Phase 2 tough standards for VOC emissions. 5) GREENGUARD CERTIFIED (IgCG) - Nine of our cabinets possess Greenguart Certification, the most recognized ECO-label among architects and designers for products that satisfy code or ordinance criterial to meet INDOOR air quality specific RFP requirements and contributing to the achievement of points in established GREEN building rating systems. Lines WITH GREENGUARD CERTIFICATION include Pearl Creek, Walnut Creek, Beveled White, Beveled Midnight, Light Grey, Middle Grey, Greystone Shaker, Northern White Shaker, and Pepper Shaker lines.